I was scheduled to do a school talk today and we were flying in with our news helicopter. I was a little nervous because I get motion sick from roller coasters, but just fine in a helicopter. LOVED IT! 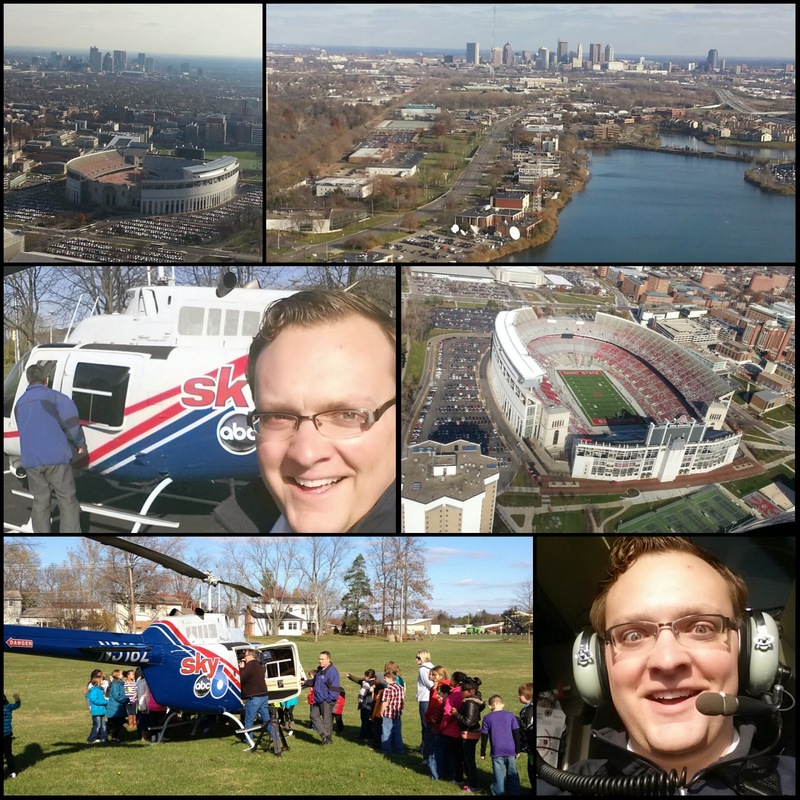 It was really awesome to get to fly over the Shoe and see the city from the sky. It was amazing to be able to see the rolling hills off to the east, even from a fairly low altitude. Another cool aspect was the planes flying overhead to land at Port Columbus. Here is another shot of the city as we were coming in for the landing. Awesome. Another pretty nice day on Wednesday, but then rain returns mainly for Friday. We could have a few late-day showers sneak in Thursday and a few lingering flurries on Saturday, but it should remain pretty light. Falling temperatures for Saturday and MUCH colder for Sunday and early next week. Possibly staying below freezing for the afternoons as well. YIKES! Have a good one!